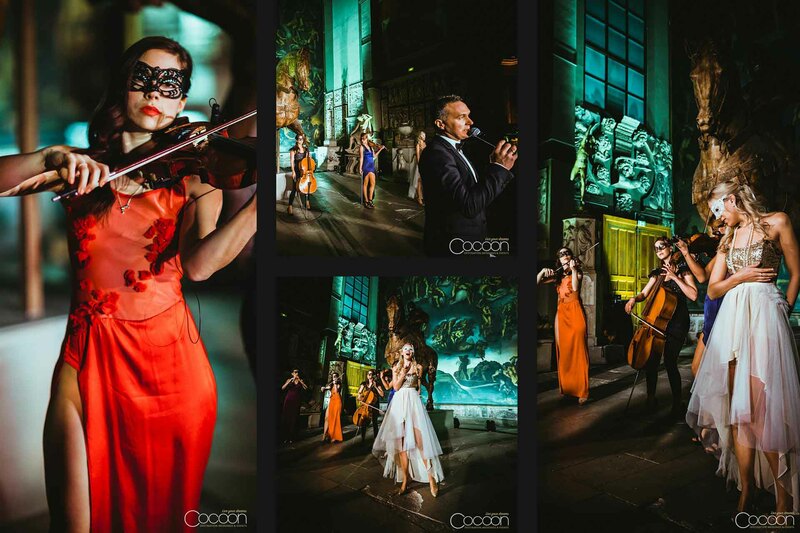 While we are acclaimed for our out-of-this-world weddings and wedding-related events, Cocoon Events specializes in more than just Paris luxury nuptials. As the designers of the most recognized and most beautiful events in the world, we know how to throw an epic gala. 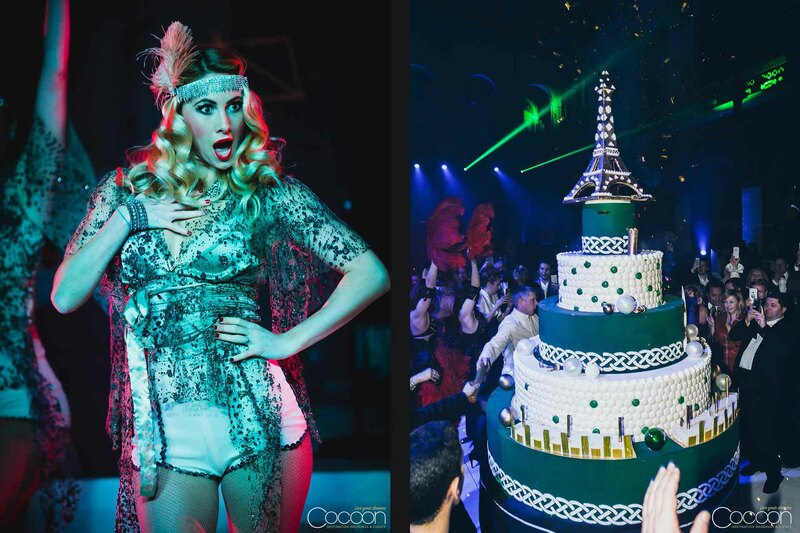 This over-the-top birthday celebration for 200 guests was held at the sensational Palais des Beaux Arts and featured a “Gone with the Wind Carnival” theme. 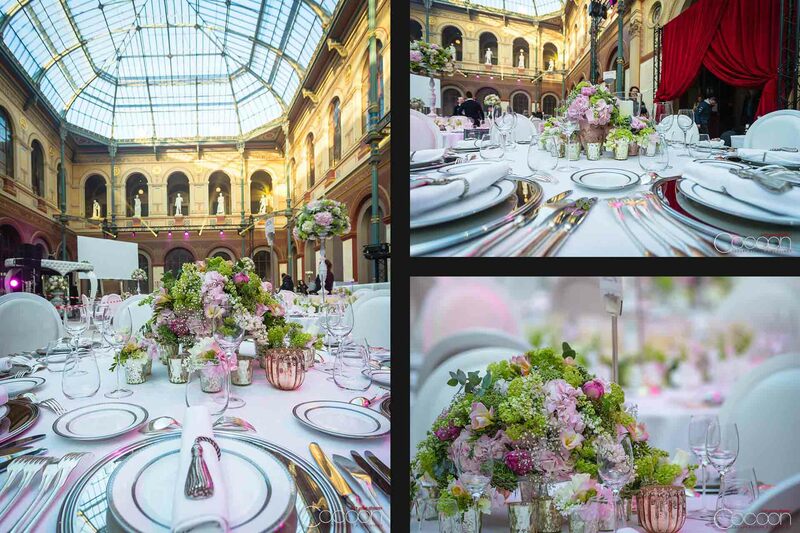 We carried our unique design, playfully dubbed, “From Paris with Love,” throughout the exquisite décor, delectable menus and custom-selected live music. Guest engagement was our top priority, and our goal was to keep guests guessing. We set up a totally different look for each remarkable stage of the evening. 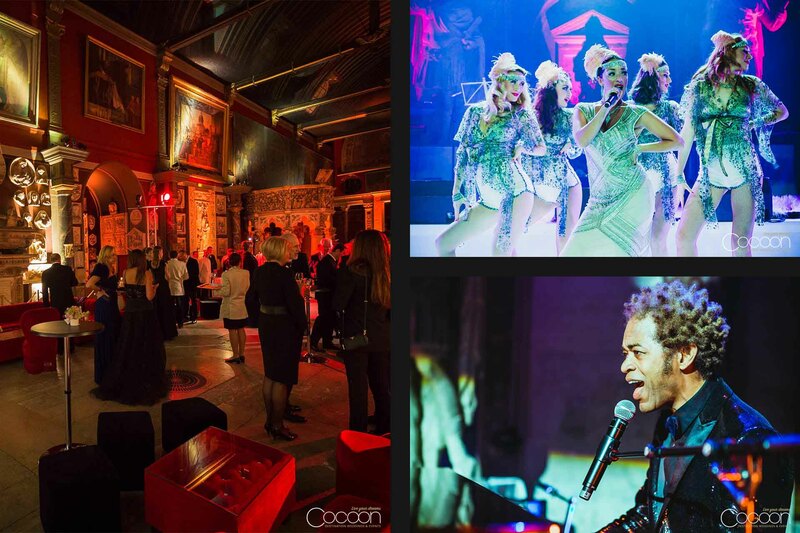 We welcomed guests in a lush, red velvet lounge that invoked a sense of anticipation and passion. This entrance was a tangible contrast to the clean and crisp setting of the dinner reception, where abundant pastel lavender and green arrangements in both tall and low versions anchored each tablescape. The birthday guests dined on a gourmet multi-course meal, enjoying exclusive wine pairings from Chassagne Montrachet and the famous Cheval Blanc winery. The once-in-a-lifetime birthday extravaganza was bigger than life. Even the cake was three meters wide! 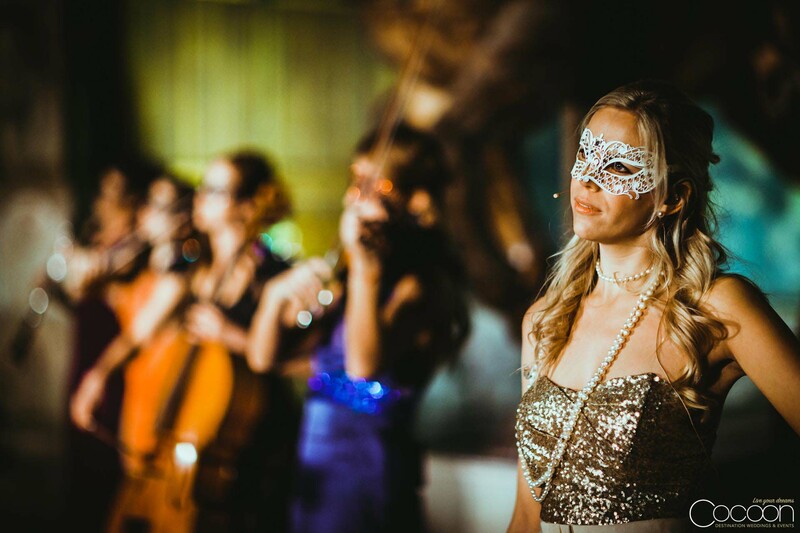 Entertainment was provided by the internationally-renowned, all-female classic-crossover group, “The Masques.” The ensemble of world-class musicians has performed for many world leaders and has even wowed royalty. As enthralled as guests were with their incredible music and choreography, nothing was a more welcome surprise than a special appearance by the Gipsy Kings. 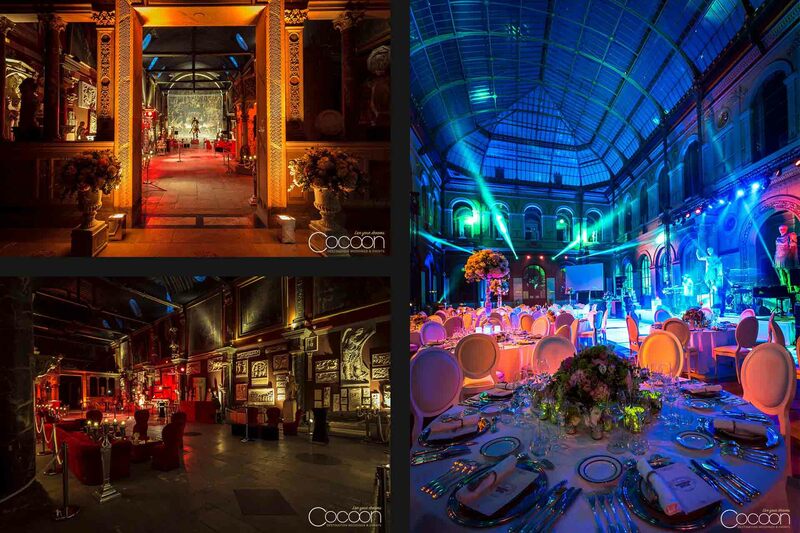 Cocoon Events is delighted to design events of all types, from birthdays to bar and bah mitzvahs, pre- and post-wedding festivities, corporate and personal destination events and more. Paris is one of our favorite international cities in which to private celebrations of all kind. La vie est grande! Palais des Beaux-Arts de Paris, France.